2014 Cascadia with a DD15 455HP, 10 speed, two beds, air slide fifth, dual 120 gallon fuel tanks, heated power mirrors, Espar bunk heater, diff lock, dual high back air ride seats, fridge and much more. Nice truck inside and out with good rubber and brakes all around plus a fresh detail, service and DOT. 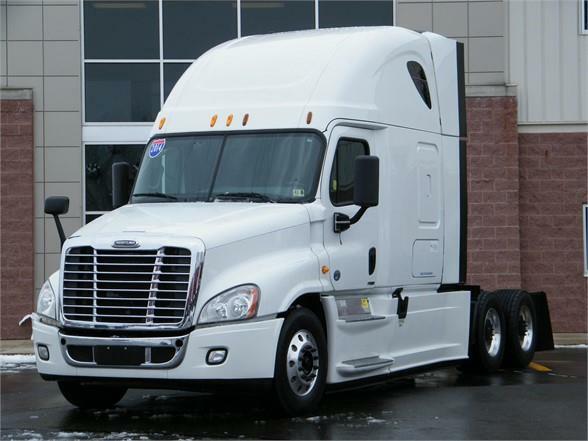 We will also include for FREE a Factory 60 days buyers assurance policy which covers DPF-Turbo-Starter-Alternator, Clutch, Waterpump and much more plus a 1yr/100K mile engine, transmission and rear diff warranty direct from Freightliner.